have the pleasure of hearing from our readership who so graciously lets us know how much they enjoy our publications, and more importantly, how much our magazines have helped them in some way. 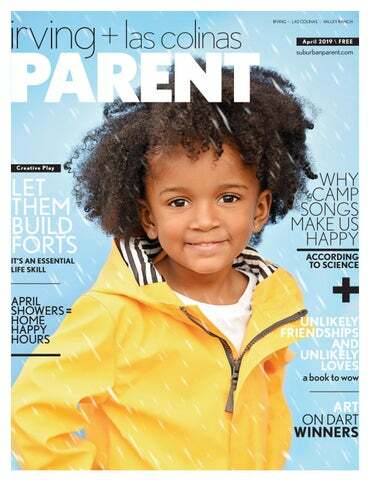 One mom told us that our magazine has “a talent” for knowing what our readers need to know. The word talent was what really struck me. I could not help but think of where talent comes from. I was told once that our talent is God’s gift to us, what we do with our talent is our gift back to God. Nothing could be better than that, right? I have also heard it said that your talent and your passion often go hand in hand. You could spend hours focused on your passion (talent) and not realize how much time has passed. Has that ever happened to you? I am passionate about several things. Being a wife and mother tops the list; hmm, is that a talent? I don’t think so, but I am passionate about my family. As a licensed Registered Dietitian, I have always had a passion to help people and families to live healthfully to reduce risks of disease. Of course, now I have a much larger audience to enlighten and advise. So when you come across anything in our magazine having to do with food and nutrition, you can be sure that there was intent and passion in publishing that information for you! Take some time to think of what you are passionate about, and where your talent lies. God created each of us with unique skills and abilities – what’s yours? Morgan, 4 yrs Morgan is a sweet, spunky, sassy girl. She loves to feed her dogs Tanner and Titus and help out around the house. She also loves to sing karaoke, do ballet, tap dance, and play with her dolls and stuffed animals. When she grows up, she wants to be a ballerina and a doctor. 972.887.7779 1333 Corporate Drive Suite 116 Irving, Texas 75038 Suburban Parent and Irving Parent are registered trademarks. Reader correspondence and editorial submissions are welcome. We reserve the right to edit all submissions due to space. All rights reserved. Reproduction in whole or part without express written permission is prohibited. BUILD THEIR TALENT & CONFIDENCE With so much focus on academics and therapies, parents often undervalue what after-school activities can do for their special needs children. But they shouldn’t. Extracurricular activities offer opportunities to build the talents their children may have regardless of their special needs. They also provide new and different ways to connect with other kids. They teach skills not taught in the classroom. They help build confidence. And, they can develop lifelong interests. Whether music, art, sports, dance, scouts, or something else; choose an activity that they actively enjoy. This is their time to shine and have fun. For a list of ideas, read more on our website at www.suburbanparent.com. Long term stress, such as stress due to finances, can cause spikes in stress hormones. These spikes can lead people to overeat and choose foods higher in fat or sugar. Not surprising then, research finds that those who aren’t stressed about money are more likely to eat healthily. That doesn’t necessarily mean they don’t have money issues; it just means they manage the stress better and don’t let it affect other areas of their life (like their eating habits). Who knew having a financial plan could help with weight loss? Warmth and Compassion A three-decade study found that children with emotionally warm parents grew up to be more compassionate adults. The study followed over 2700 three to 18 year olds from 1980 to 2012. Findings show that while parents’ warmth led to adult compassion in all age groups, it mattered more for younger children compared to adolescents. So give those little ones hugs when they need them. It could have lasting implications on their compassion as grown-ups. YOUTH BODY IMAGE TEEN TIME Studies show that teens who spend time with their parents have better social skills and higher self-esteem. One study found that time spent with parents doing cultural activities (like discussing books or going on outings) was a better predictor of a teen’s aspirations than time spent together on school activities. Teens are crazy busy at school, we know, but it’s worth spending quality time with them outside of school too. Visit us online at www.suburbanparent.com for great ways to give your kids positive, non-school related, attention. It’s hard to believe, but studies show that children as young as 5 are experiencing anxiety and unhappiness with their physical appearance. Following mom’s lead, many kids express a desire to be thinner. By age 7, one in four children has attempted dieting behavior. Since kids primarily learn about body image from their parents, we need to watch what we say about ourselves and others. We must put more emphasis on exercise and healthy eating than on weight. And we should remember to focus on people’s inward qualities rather than on their outward appearance. I want to raise bilingual children. Do I have to understand the second language my child is learning? Where do children learn the ‘fear of missing out’? How can the climate at home relieve this fear? FOMO (fear of missing out) is nothing new. Social psychologists have long documented our desire to be affiliated with other people. Studies have supported that infants as young as eight weeks have the desire to engage socially with others. Today, FOMO is typically attributed to the prevalence of social media. Prior to Facebook, the opportunities for social comparison were limited to the playground or the PTA meeting. Now, parents have unprecedented access to the activities and accomplishments of families in their social circle. Thought leaders in the FOMO-sphere recommend mindfulness practices as well as gratitude journals to help us focus on what we have. With age comes the understanding that “there’s always more to do.” Seraphina’s Dad helped her understand that balance. Why is ABA the most recognized therapy for children diagnosed on the autism spectrum? How do you choose the best summer camp for your child? Choosing a camp can be an extensive process filled with price and activity comparisons and the ever present “is my child ready” question. As a mom of past campers and a current camp director, I encourage parents to take some time for research and consider their kids’ point of view. Is there a new skill they want to develop or a specific area you want them to grow in? With a better understanding of your child’s hopes and expectations, you can narrow down the list of potential destinations. Consider the long-term effects camp will have on your child in areas such as independence and developing crucial life skills to choose a place they will thrive. See her book Seraphina Does EVERYTHING! on page 12. Can you feel (and keep) the beat? This super fun rhythm and sequence game gets the whole family snapping and clapping together! In this game your mind needs to keep up with your hands, while staying in the right sequence of sounds. Fall off-beat or do the wrong action, you are out of the round! Perfect game for family fun! We found it at www.fatbraintoys.com, $19.95. GOOD JOB REWARD CHART Everyone loves rewards – especially kids on the spectrum. This chart helps kids develop, track and earn rewards for their responsibilities and good behavior. The chart features magnetic tiles and stickers corresponding to common household tasks, from “Make the Bed” and “Help with Dinner” to “Do Homework” and more. Kids and parents can track daily progress with the set’s positive accomplishment magnets! We found it at www.learningresources.com, $24.99, Ages 3 and up. trailer stood on wheels—I’d have to make those first. I found an old saw and some plywood and began trying to saw in a circle. It wasn’t easy, but I hacked out some circle-like things and moved on. Next I’d need the floor of the trailer. I found some two by fours, nails and a hammer and pounded them together in ninety degree angles. create with a stronger sense of well-being. A failed effort doesn’t threaten the child’s confidence. Children with too many “rules” are often worriers—they can’t risk a failure. Those who are encouraged to strike out on their own and try new things are more likely to explore, invent, and see new connections in the process. This child won’t fall apart if things go wrong. This child doesn’t base self-worth on being “right,” but is willing to see where the creative process leads. Another reason to encourage creative play is that the planning and the execution of any project is worthwhile in itself. Consider building a fort. The child has to first envision the completed project, gather materials, work and problem solve along the way, and finally either succeed, partially succeed or fail to complete the project. Sounds a lot like adult work, doesn’t it? And there is value in achieving any measure of success as the project proceeds. The child willing to take on a challenge is also willing to learn through each effort. In the famous children’s book The Boxcar Children by Gertrude Chandler Warner, the four siblings are always depicted as independent thinkers, able to take care of themselves. They work to earn money for food, they cooperate in all the tasks necessary to create a home away from home and they make important decisions based on sound reasoning. Kids love the prospect of that kind of freedom to succeed. As parents, allowing them to take on challenges is our gift to give. So next time your kids want to “build a fort” or embark on any other creative project, here are some ways to support their efforts. speak encouraging words Whether the project seems doable or not, the effort will be worth your encouragement. Any positive, encouraging words you offer will make a huge difference to your child’s willingness to try. Whether done indoors or out of doors, there are ways parents can encourage creative projects by merely allowing access to “stuff.” Are your children free to use art supplies, blankets, pillows, toys to build a structure? Are they released to use found objects, scrap wood, and simple tools to create their projects? While kids sometimes respond well to suggestions from adults, these creative projects should usually be done on their own. They have a plan in mind. Children are often satisfied with a finished product that looks nothing like the house or barn or space craft we might envision. Remember the pretending is a big part of the fun. Yes, creative play can be messy. There may be rubble to clean up, household items to put away, spilled paints or marks on the floor. There may be a few scrapes and bruises in the midst of creative outdoor projects. As long as there are no major safety issues, the process is worth the cost. Yes, a failed project is a great learning opportunity. And kids need to learn the important lesson that nothing is gained without the willingness to make mistakes. This might be a great time to read a book about inventors or great thinkers and examine all the “failures” they had on the way to success. Hands-on creative play is worth its weight in gold. It is also hard to find in these days of computer games and screens. So keep your ears open for the creative ideas your children mention. And whatever you do, encourage their plans to take on a challenge. ’m 11 years old and I’m sitting at a long table in the mess hall. The primitive building has cement flooring, a raised ceiling, and enough space to comfortably hold a few hundred kids and dozens of counselors. Just as I am about to ask one of my fellow campers to please pass the ketchup, the sound of conversation and silverware against plates is drowned by the sound of a song. It’s coming from a few tables over. Before the first verse is over, every conversation has ceased. Everyone in the room is singing about the wishy washy washer woman who washes her clothes; “She goes ‘Ooh-aah. Oooh-aah.” Over 25 years later, I still haven’t experienced anything else that instantly puts my brain in the same relaxed, joyful state I experienced while singing at camp. I can’t help but wonder why. Apparently, I’m not the only one wondering what’s behind this phenomenon. According to the experts, it’s not just something in the bug juice. SINGING CHANGES YOUR MOOD – AND YOUR CELLS Science has actually proved that the act of singing is a natural mood elevator. A 2012 study published by Evolutionary Psychology found that in comparison to simply listening to music, the active performance of music elevated subjects’ endorphin levels, the “feel good” chemicals your body naturally produces. Similarly, a 2004 Journal of Behavioral Medicine study found that participants who sang in a choir demonstrated increases in positive mood based on self-reports and, according to saliva samples, higher levels of immune system function than those who simply listened to the choir music. A 2010 study from Music Performance Research also found choir participants self-reported high levels of mood elevation, stress reduction, and psychological well-being as a result of singing. Meanwhile, the benefits of singing are not just for the talented. They also extend to tone-deaf people like me. In fact, a 2002 paper published in Integrative Physiological and Behavioral Science suggests the less serious a singer you are, the more benefits singing can offer you. Researchers found that after a singing lesson, amateurs reported elevated levels of joy and elatedness, while professionals did not. That said, both the pros and the amateurs reported feeling more energetic and relaxed after a singing lesson. Additionally, both groups demonstrated significantly higher oxytocin levels after a singing lesson. By Pam Moore better when we sing in a group – and the bigger the group, the better. A 2016 study published in Evolution and Human Behavior asked participants to provide subjective reports on social bonding and had their pain threshold measurements (representative of their endorphin levels) taken before and after singing for 90 minutes. Subjects either sang in a large group (over 200 people) or a small group (ranging from 20 to 80 people). For both groups, feelings of social connectedness improved. Even more fascinating was that for those in the large group, the improvement was significantly steeper, despite the fact that many of the participants were strangers to one another. Researchers conclude that the group cohesion facilitated by singing is consistent with evolutionary theories highlighting the role of music in social bonding, “particularly in the context of creating larger cohesive groups than other primates are able to manage.” When you’re talking to someone who has never been to camp, it’s hard to explain the connected, joyous high you feel while singing “You’ve Got a Friend” over the sound of crickets, surrounded by fellow campers. They may look at you funny when you say it’s nothing short of a spiritual experience, but you can stand your ground, knowing there is plenty of science to back you up. SP Tlight WHY WE LOVE THE GET YOUR ART ON DART CAMPAIGN Art provides challenges for learners at all levels. Art education connects students with their own culture as well as with the wider world. Sarah’s winning artwork themed “My Next Stop is _____” will be recognized as the best out of hundreds of entries! The artwork will be displayed on the side of a DART bus traveling across the agency’s 13-city service area through September; so make sure to look for it! Winner’s artwork will be displayed at the Dallas Museum of Art, Love Field Airport, the Courtyard Theater in Plano and on DART’s website, DART.org. Preview Morning at The Highlands School 8:30-10am. For PreK3 – 12th Grade. RSVP to Admissions@ TheHighlandsSchool.org. 1451 East Northgate Drive, Irving, 972-5541980, See ad in this issue. Taste of Irving 12-6pm. A feast-ival of food and fun with more than 20 food and dessert vendors, free activities for children, culinary demonstrations, and live music. Cimarron Park Recreation Center. Free admission and free shuttles from Barbara Bush Middle School, 515 Cowboys Pkwy, Irving. 972-721-2501 IrvingEvents.org. See ad in this issue. 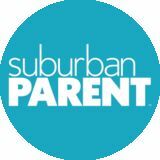 Upload your Birthday Kids picture @ suburbanparent.com Submit by 10th of the month prior to their birthday. FRIDAY 26 Let Me Be Myself: The Life Story of Anne Frank 1-3pm Let Me Be Myself tells the story of Anne Frank in a modern way, addressing current day issues of identity, exclusion, and discrimination. Free with admission. SATURDAY 27 Celebrate Arbor Day 2019 10am-2pm. Concert, children activities, tree experts, tree climbing demonstrations, vendor exhibits, snake humorist show. Free tree seedlings while supplies last. Heritage Park, 217 Main St, Irving. 972-721-2501 IrvingEvents.org. See ad in this issue. Extreme Racing 2:30-6pm Watch and cheer as live camel, ostrich and zebra races return to Lone Star Park. The exotic animal races will be run on the main track between regularly scheduled Thoroughbred races. “Bets” on the extreme races raise funds for local non-profits. Kids can have fun with bounce houses, petting zoo and pony rides from 1 to 6 p.m. General admission to the first level of the grandstand is $5, $3 for children ages 4-12. Lone Star Park, 1000 Lone Star Pkwy, Grand Prairie www.lonestarpark.com/events/ extreme-racing White Rock Home Tour 12-5pm Get your tickets for the fourth annual White Rock Home Tour featuring six mid-century modern and contemporary modern homes. You can start the tour at the Hexter Cafe to buy your tickets and/or to pick-up your online tickets. Or you can start your tour at any of our homes if you already have your paper ticket. Tour homes are located around East Dallas. Tickets are $15 in advance/$20 weekend of tour (children 12 and under are free). Also Sunday, 4/28. www.whiterockhometour.com Plano Artfest 11am-9pm Plano Artfest is a free community event featuring a week of community art programming that culminates in a two-day festival in the Downtown Plano Arts District. The festival features live music, contemporary art installations, performances from local arts groups, a makers market of craftsman and artisans, family chalk art, a kids zone with bounce houses and more. TUESDAY 30 The Art of the Brick 10am-5pm The Art of the Brick is a critically acclaimed traveling exhibition comprising the world’s largest and most elaborate display of pieces constructed using only Lego bricks. Plus, discover your inner architect in the hands-on, interactive Lego brick gallery Science of the Brick, with building challenges, games, and open play spaces. $7 for members; $10 plus general admission for non-members. Through August 18. Perot Museum, 2201 N Field St, Dallas www.perotmuseum.org Please note: Although we strive to bring you the most current information available regarding event dates & times, confirming with the event venue before going is always a good idea. Easter basket grass that is! We came across a fun project for Easter Baskets! Fill some Easter baskets with dirt and quick growing grass seed. Start at the beginning of the month and by Easter you’ll have baskets full of beautiful Easter grass. No more fake stuff; watching wheatgrass grow in a sunny spot will amaze your kids. And you too! You can find potting soil, quick grass seeds and plastic plant saucers in the gardening department of most stores. We found it on Pinterest! Learn more there. WE'RE HIRING. We are looking for a few good moms to work with us as skilled Advertising Sales Representatives. offers over 30 different shows for daycares/ schools/libraries & More! Offering LUMINEERS®, the no-shot porcelain veneer! New patients only without insurance. Excludes gum disease. For new patients with insurance. Not valid with other offers. Preferred Provider with Cigna, Delta, MetLife and others. Call for details. Yeah, get your Mediterranean mood on with a fresh salad, and don’t forget to include a side of pita and hummus – maybe even some falafel. There are tons of recipes out there, but know the basics for this simple chopped salad are: cucumbers, tomatoes, bell peppers, red onion, fresh herbs (think parsley and mint), lemon juice, and of course, olive oil (it’s Mediterranean!). Optional: include some crumbled feta, toasted pine nuts and chickpeas. The Fruits of the Holy Spirit is a biblical term that sums up the attributes of a person or community. There are 12: Charity, Joy, Peace, Patience, Kindness, Goodness, Generosity, Gentleness, Faith, Modesty, Self-Control, and Chastity. RIGHT ON TIME You may want to consider meal times for a child with ASD. Creating a routine of serving meals at the same time every day may be helpful and less stressful for your child (and you). Let him/her know what time it is when you prepare the meal. If you are concerned about your child’s nutrition, consider a Registered Dietitian Nutritionist. They can answer your questions and provide guidance for making sure your child is eating well. THANK YOUR GUSTATORY That’s science lingo for taste RECEPTOR buds! Our taste buds perceive four basic tastes: sweet, salty, CELLS sour, and bitter. One of their functions is to keep your body from unsafe food chemicals. There are tiny taste hairs that check out food chemicals in your saliva. When these taste hairs are stimulated, they send nerve impulses to your brain. So if you ate poisonous or rotten food, you would most likely spit them out immediately – that way you stop them from entering your stomach.